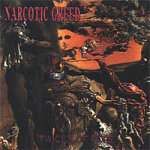 NARCOTIC GREED was formed by Guitarist Warzy in 1989 at Osaka, Japan. Demo-tapes released were: "Absurd War" (1991), and "Crisis Of Ruin" (1992) after the various member changes. Those tapes together sold a total of 3000 copies. A debut album "Fatal" is released into 1994 from Lard Records (Japan) and tour does England, France, Switzerland and Italy. 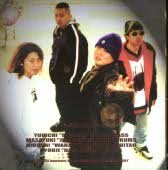 in end of 2000, they are get a new record contract with World Chaos Production . In March 2001, their second album "Twicet Of Fate" was released for worldwide distribution by World Chaos Productions. NARCOTIC GREED's sound is pure attention-getting fast and Technical Thrash Metal. World Chaos says: "the guitar of the art runs to length and breathless with solid of Warzy in and the ease tune which can chaos shines with having catchy melody due to the improvement of the high-tone power vocal !! NARCOTIC GREED have consistently got good reviews and numerous interviews in international magazines. But in 2002, Warzy is doing side-project band called HATE BEYOND with French vocalist.